Africa is home to 61% of the world's unused arable land. Many farmers own land, which they are currently unable to use due to lack of investment. Financial institutions are reluctant to invest in the agriculture sector, as they judge the risks to be too high. Less than 5% of loans granted are destined for agriculture. On the other hand, many individuals, especially employees of private and public institutions, have access to funds, which they could potentially invest in agriculture. These funds are currently being accessed by young entrepreneurs who use digital platforms to support farmers (often grouped together within professional organisations) in their seasonal activities (access to seeds, fertilisers, mechanical equipment to prepare the ground and harvests, sales, etc.). The benefits generated are then shared among the farmers, young entrepreneurs and investors. The Senegalese company BaySeddo uses digital channels to encourage inclusive and social investment in the agriculture sector. Once potential specific agricultural projects have been identified, the overall financial need is divided into agricultural shares, fixed at 100,000 CFA francs each (roughly €150). 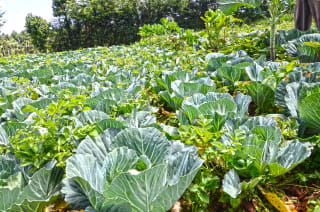 This call for finance is then shared through the BaySeddo 2.0 platform, which allows local investors and members of the African diaspora to purchase shares for a limited duration (6 to 12 months), linked to an agricultural season (the length of time varies according to the crop). Crops covered include rice, onions, peanuts, potatoes, maize and chickens. In general, investors can expect a return of around 10% on their outlay. In addition, they are given the opportunity to receive, via the platform or through WhatsApp or email, regular reports tracking the progress of their projects. On the ground visits can also be arranged. BaySeddo has used part of its winnings from the CTA organised AgriHack 2017 competition to complete development of its mobile app, and integrate electronic payment services into the platform. In the 18 months since its launch, BaySeddo has mobilised 125 million CFA francs (around €190,000), which has been invested in various agricultural projects, enabling Senegalese farmers to sow 136 acres of land, breed 10,000 chickens and sell 220 tonnes of onions. A good return on investment has been guaranteed for investors. Next, Bayseddo plans to launch a major programme for rice growing in the Senegal river valley. The project will be implemented on nearly 2,500 acres of land, spread over several villages, and involve 2,000 farmers and families. Strategic partnerships are being forged with players such as the CNCR (National Council for Rural Dialogue and Cooperation), Telecom operator Orange (whose employees have invested in the project), and the government via the Delegation for Fast Entrepreneurship amongst youth and women (DER). Given its past success and the enthusiasm it is generating within the sub-region, BaySeddo is also planning to roll out a pilot in Mali in the coming months. This collaborative investment model also exists in other African countries. Nigerian start-up Farmcrowdy is, without doubt, the leader in Africa. At the end of 2017, the company was able to raise $1m from international investors. Via its digital platform, the future ‘sponsors’ (the term used by the creators of Farmcrowdy to describe buyers of agricultural shares) can access a simulation of their earnings, visualise farming projects and interact with the company management. Other Nigerian companies in this sector include eFarms and Farmignite, both winners of the Pitch AgriHack competition run by CTA in 2018. The advantages of this kind of entrepreneurial approach are multiple: developing agricultural investment, local production and national business, and increasing skill levels and revenues. This approach demonstrates the continued value of getting younger people involved in agriculture: the people behind these businesses are generally aged under 35 and are aware of the potential that digital technology, and social mobilisation, can bring to the sector. These entrepreneurs recognise the risks that accompany these types of business, in particular the potential tensions with farmers or investors if crop production falls below expectations. This is why they also have insurance policies, which cover potential natural disasters and other agricultural risks. If necessary, the insurance payouts should allow investors to be compensated, although they cannot cover all costs, since investors do not always contribute 100% of the capital provided. Future investors and sponsors need to be aware of these risks, even if they are mitigated by the insurance and other measures put in place by the entrepreneurs to support farmers (provision of inputs, farming advice, etc.). A legal framework most also be established, which covers the different parties involved, providing them all with adequate protection -- from the entrepreneur to the farmer, and from the cooperative to the investor. The young entrepreneurs who invest in this sector must ensure rigorous management of their activities and be aware of the risks and complexities involved, including the responsibilities they have when collecting investment from the general public. These are a few of the factors that will enable continued smooth growth of this type of initiative, conducted by young entrepreneurs, with its significant advantages for both food security and the African economy.